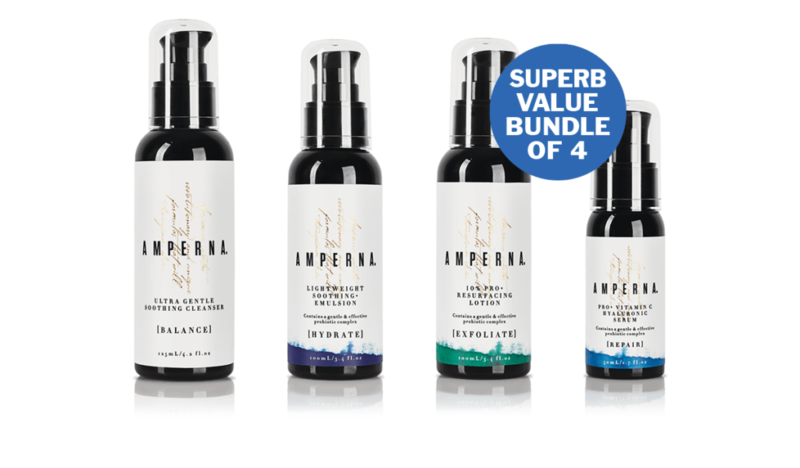 We are thrilled to announce that we are partnering with Australian skincare brand AMPERNA® giving you the chance to WIN their popular products. The Australian skincare brand AMPERNA® offers a range of products specifically formulated even the most sensitive skins. The founder Kiri Yanchenko (read the full interview here) found herself struggling with acne for the first time in her adult life which was sparked by underlying health issues leaving her skin unbearable almost overnight. This promoted Kiri to begin to search for a solution that worked for her skin. The result – AMPERNA®, a skincare brand developed from Kiri’s deep understanding of what women really need from their skincare range. 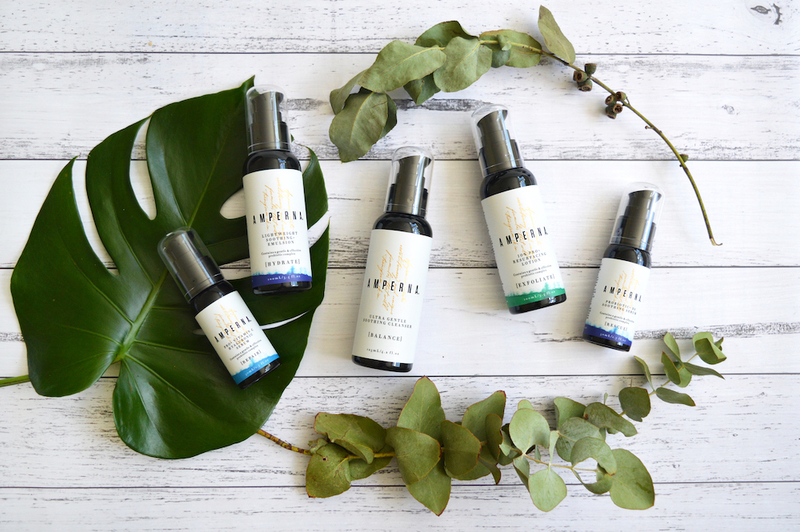 All the AMPERNA® products are simple yet groundbreaking, containing only the necessary ingredients plus active ingredients. Our formulas include a probiotic complex, glycolic acid and vitamins B and C.
All formulations are free from sulfates, parabens, aluminium, synthetic fragrance, synthetic colours and bleaches. The Classic Edit from AMPERNA® includes: AMPERNA® Ultra Gentle Soothing Cleanser is a light gel cleanser that helps remove makeup while balancing the skin. AMPERNA® Lightweight Soothing+ Emulsion contains a groundbreaking probiotic formula, along with ceramides, hyaluronic acid and emollients to help nourish the skin and protect it from free radical damage. AMPERNA® 10% Pro+ Resurfacing Lotion contains 10% glycolic acid (AHA) and antioxidants to help calm redness and improve the skin’s texture. AMPERNA® Pro+ Vitamin C Hyaluronic Serum is a deeply hydrating formula that helps create a more youthful-looking complexion.